Great essay writing is a necessary skill in various facets of our daily lives - from writing dissertations to writing short articles. Essay writing poses a great challenges to English learners, especially those from Non-English speaking countries. Since the characteristics of a good essay require original thinking, balanced thinking, and balanced arguments, it can become a chore that most students dread. In the course of writing either argumentative or narrative essays, most students tend to restrict their creativity. This gives their essay a dull and monotonous outlook. Further, most international students are unsure on how to create a good essay, since they don't know how to put their thoughts and ideas in the proper structure. Therefore, essay writing becomes boring and strenuous. However, you can change your perception on essay writing by attempting the following creative exercises that are used even by expert academic writers. Choose just one and try it out immediately after you finish reading this article. You stand a high chance of using words incorrectly when you don't understand them. Most students think that using complicated words from Thesaurus will make their essay writing interesting or perhaps, more academic. However, it creates the opposite effect. Using high-brow words can alienate your reader, and make you sound proud. Furthermore, the readers loses interest in the writing, since the essay is laborious to read. The essence of essay writing format is to keep your language clear, and to keep your readers interested. Passive writing: It was concluded by my citizens that the service was boring. Active writing: My Citizens concluded that the service was boring. It's easy to ramble when you don't understand the topic you're writing on. However, you can force yourself to think of a concept that will make it easy to comprehend - by using analogies or figurative expressions. You help your readers to relate with complex topics, hence, your essay becomes interesting. For example, you can use the rising and setting of the sun to explain the philosophies surrounding the irreversible nature of time. Lastly, this gives credence to your essay. The tutor who set your essay will want to see that you can explain concepts clearly. You subconsciously start to emulate the style of your favorite writers. This exposes you to different styles, and you can start to take the characteristics of those you find interesting. As you read, think of the techniques of the writer that stokes your interest. Then apply their techniques to your essay template. As an option, you can use essay samples from TakeAwayEssay.com as an easy way to better grades, and follow the pattern created by a professional academic writer. Sure, this option is more likely to hit the target. It's hard to generate enthusiasm for an essay topic that does not pique your curiosity. In fact, problems arise when you are faced with such tasks. However, you have to generate the passion for what you are writing by infusing enthusiasm into it. Furthermore, you have to change your mindset, and accept the fact that there are no boring topic. Lastly, think of your readers as you write, and imagine that they are the greatest fan of this essay. Essay writing practice becomes interesting when you inject your own opinion into the essay. It becomes boring and tedious when you have to paraphrase what everyone says about the topic. Your essay attains a high academic when you incorporate your opinions with others. Your essay becomes boring to your readers when you ramble. You are at a high risk of rambling when your arguments are not properly structured. Never forget to summarize and get the attention of your readers from the introduction of the essay. Do a proper research, and edit your essay. This helps and hones your writing skill. Remember to edit and remove texts that are irrelevant to your arguments. Keep it short. 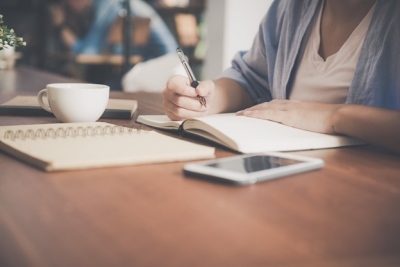 Essay writing practice should be simple, and that's why the aforementioned exercises, ideas, and tips are guaranteed to make it interesting. Further, these exercises will ensure that your next online or paper essay submission, are way better than the previous.